When I came to Southern New Mexico I quickly learned about Juan de Onate and his arrival in what is now New Mexico in 1598, which led to the founding of the city of Santa Fe in 1608. Onate came north along the Rio Grande with troops, cattle and sheep and religious men eager to convert the local inhabitants. They were coming to stay. I only later learned that Coronado had reached New Mexico much earlier. 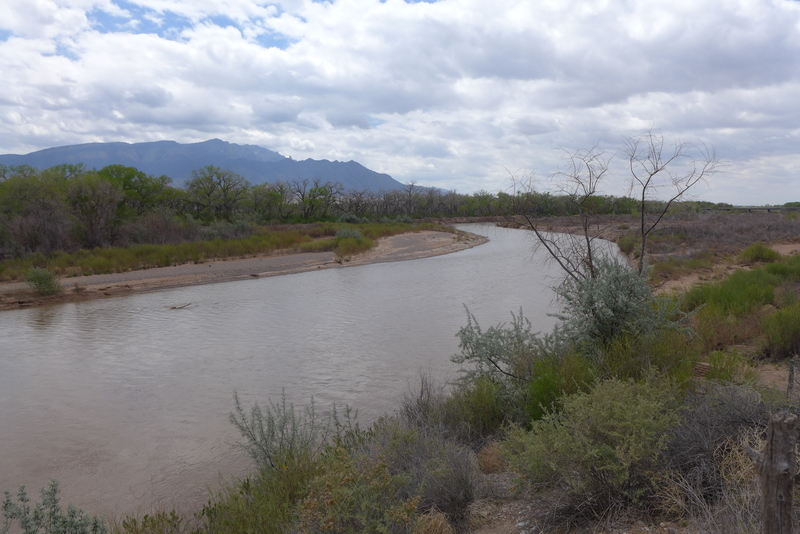 His itinerary, which was primarily a search for gold, took him north into Arizona first, then across into New Mexico, reaching the Rio Grande a little north of Albuquerque. 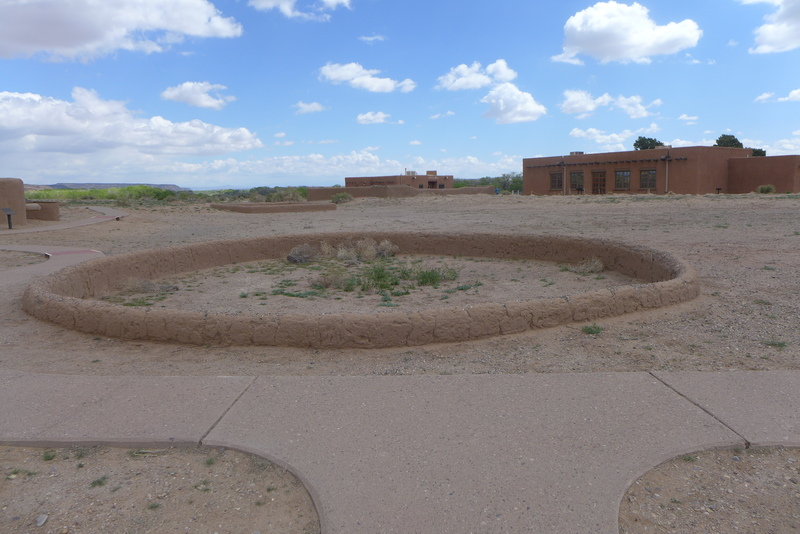 On one of my recent trips to Albuquerque I took time to visit the Coronado Historic Site, which should properly be called Kuaua Pueblo, one of several communities of the Tiwa people. Coronado arrived in this part of New Mexico in the winter of 1541, and demanded support for his troops from several local pueblos. The museum part of the site was undergoing restoration, but there was a tour of reconstructed buildings, from which I learned some of the more recent history of the site. There was much work done on the site in preparation for the 400th anniversary. Excavations were done, covered over and replaced with reconstructions. 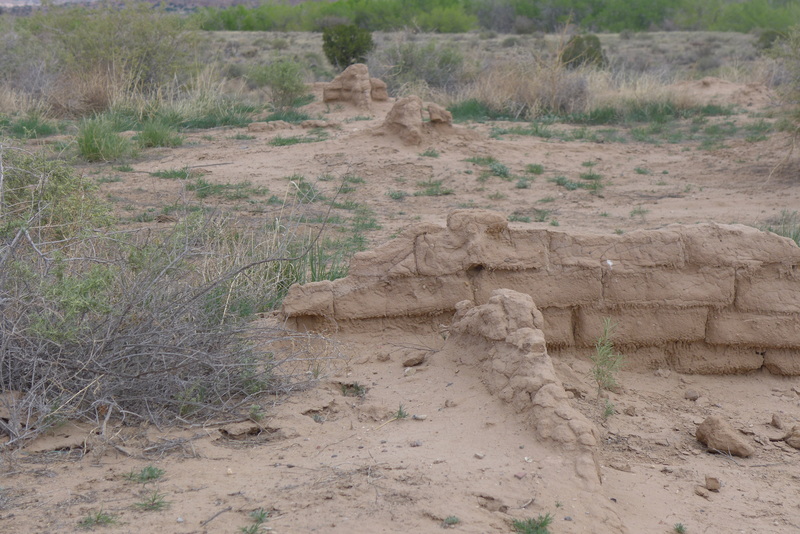 Unfortunately the reconstructions were done in adobe, and the wind and weather wore them down in a matter of years. More recent restorations, still on top of the excavations, have been done in more durable materials. 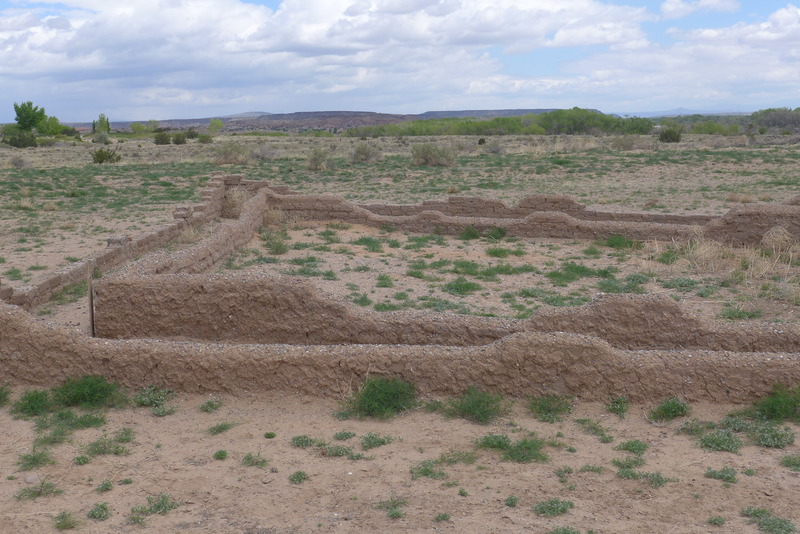 More recent research has revealed that this site is misnamed because this was not the pueblo where Coronado quartered his troops. That site is two miles to the south. It came into private hands and now has condominiums on it. So the Kuaua pueblo keeps Coronado’s name. So, in addition to historical lessons from centuries ago, this site demonstrates the more recent history of restoration and research. I visited New Mexico in 2008 and had the privilege to stay almost a week there in Albuquerque. There we saw some of the city and drove to other cities but we did not get to Santa Fe, which I wanted to see badly. Time did not permit us to see all of what I wanted to see. This small history lesson by you makes me want to come back and visit this state once again. Thank you for the giving me more insight into New Mexico. I hope you do come back, and when you do, come find me! There is so much to see here.